The park is located at the confluence of the Snake and Columbia rivers 5 miles south of Pasco, Washington. 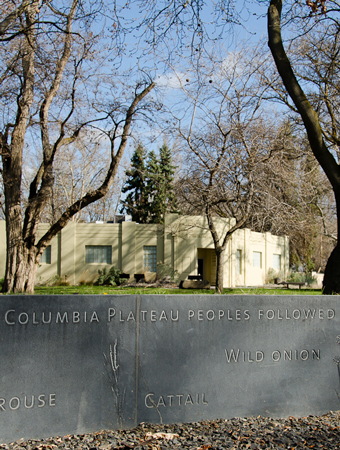 For thousands of years, the site of Sacajawea State Park was a traditional gathering, fishing, and trading place for Native peoples. On October 16, 1805, the Lewis and Clark Corps of Discovery arrived and stayed for two nights. Visitors can enjoy many activities, including picnicking, swimming, boating, fishing, bicycling, hiking, bird watching and wildlife viewing. A volley ball court and two horseshoe pits also are available. The park plays host to a variety of special events and festivals. The park is open to day use only.